I’m so proud to be partnering with Genuine Health to bring you the best quality natural health supplements to help your children truly thrive! 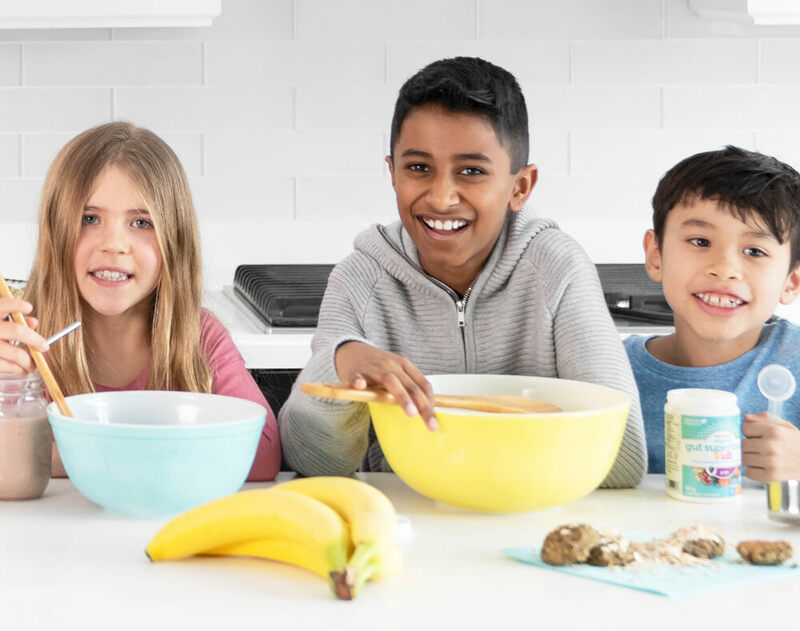 Based on the latest research, you can feel good knowing you're giving your child products that are free from GMOs and artificial flavourings, and full of wholesome, nourishing ingredients designed with your child's resiliency in mind. It can be hard to give your children the nourishment they need to thrive in today’s world. 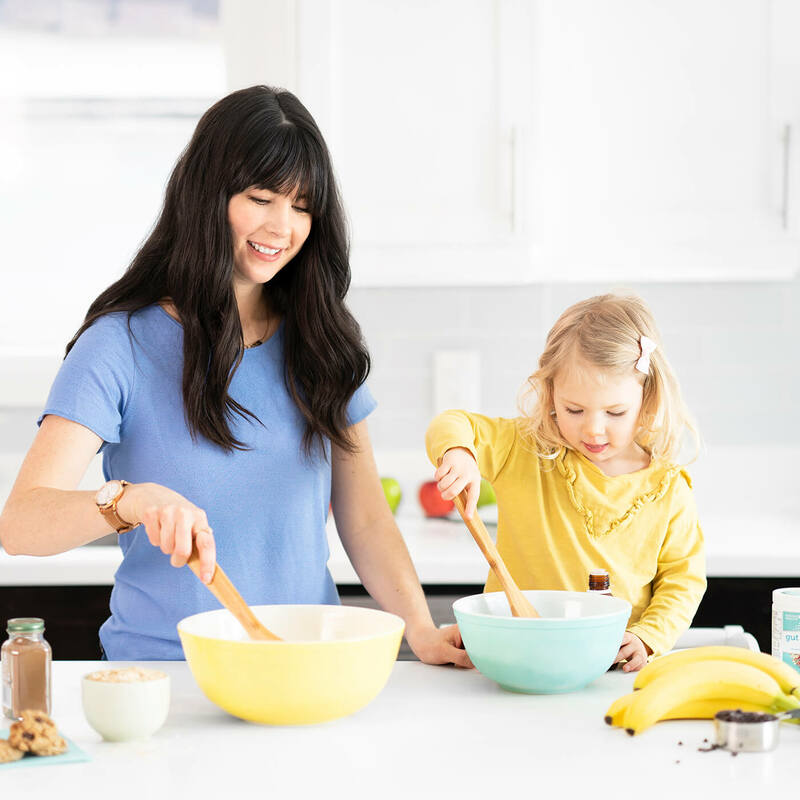 Nowadays, kids aren’t meeting recommendations for fruit and vegetable intake, fibre, omega-3 fatty acids or vitamin D.
Approximately 40% of fruit and vegetable intake among Canadian kids is coming from just two sources: juice and white potatoes. Kids aren’t eating enough fibre. 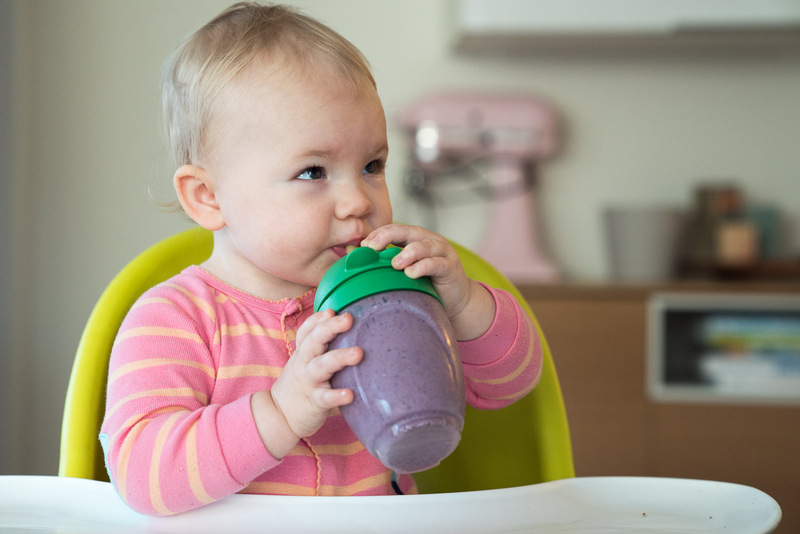 Kids don’t typically eat fermented and gut-loving superfoods. Kids are missing three key components of a healthy diet: Phytonutrients, fibre and omega-3 fatty acids. Kids need help building resilience to the impact of dietary and environmental influences in order to stay healthy and thrive! Our three superstar supplements deliver big science-backed nutritional benefits for children. 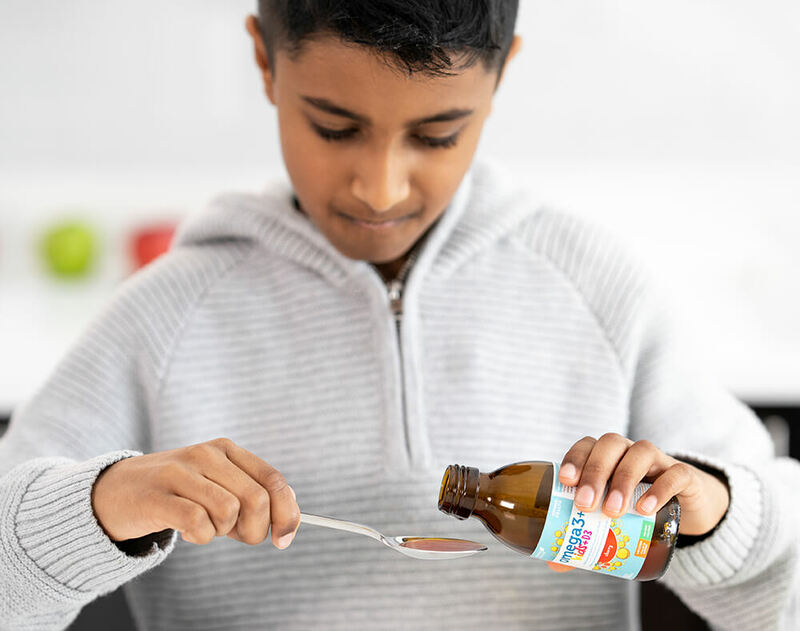 Along with a healthy diet and active lifestyle, these kid-focused supplements will help support your child’s well-being and put them on the path to a healthy happy future. 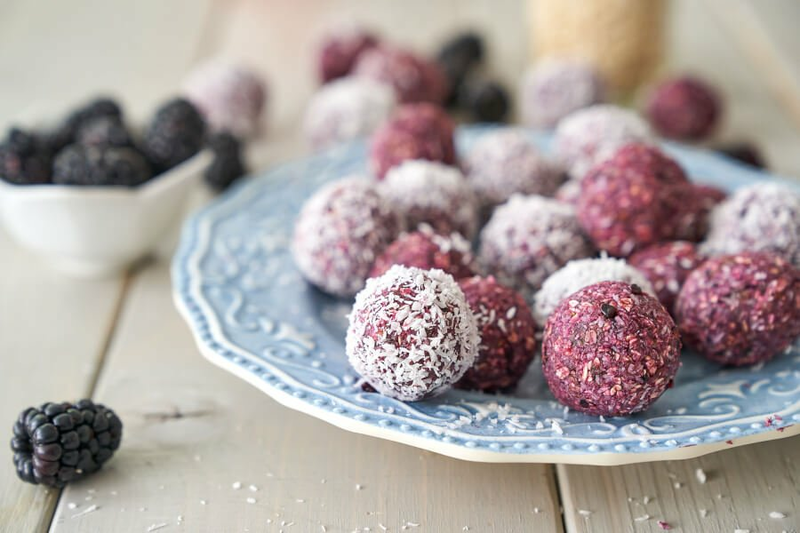 This delicious whole food-based superfoods powder is a total winner jam-packed with nutrition. 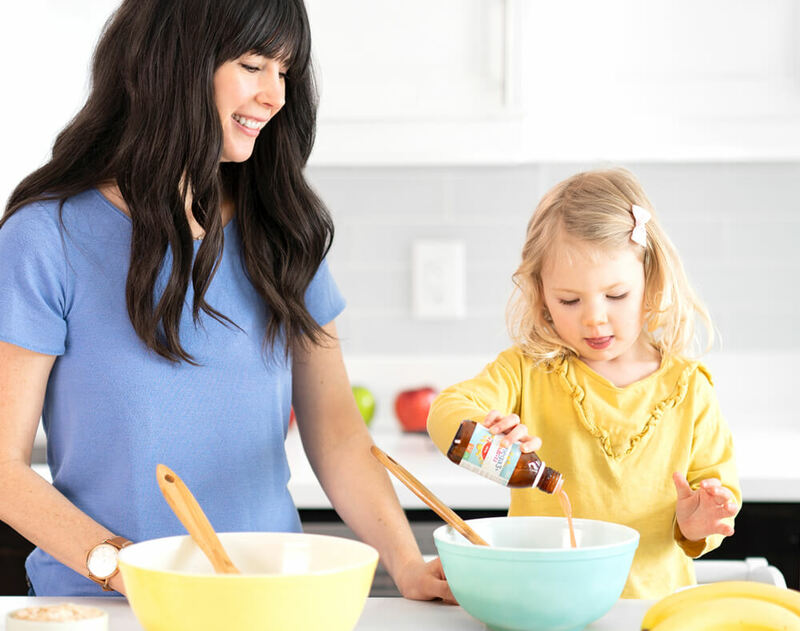 Your kids will love the taste—and you’ll feel so good knowing they’re getting a wide variety of colourful and organic whole foods and prebiotics to nourish their whole body, especially their digestive health. I’m super excited to share this with you and hope your kids will love it as much as my daughter does! 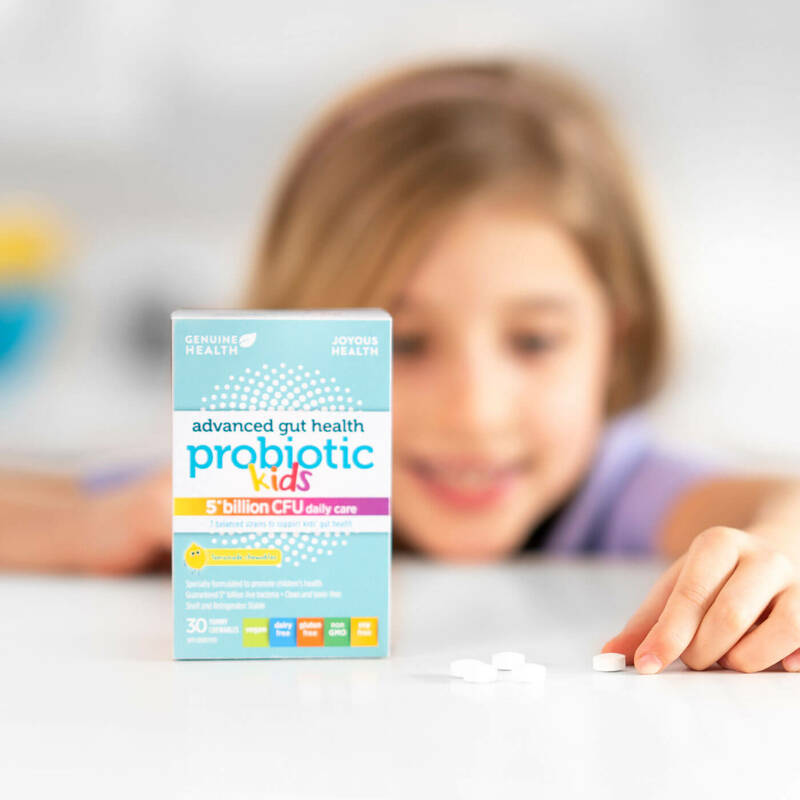 Your kids are going to love these yummy chewable probiotics that support their digestive wellness and more. Digestive wellness is truly the foundation of great health. This is why I’m so proud to bring you the best quality probiotic along with my friends at Genuine Health. I would only recommend something that I feel confident giving my own daughter, and she loves them too! Many kids are deficient in omega-3, making it an essential to supplement for healthy brain development. You’ll feel good knowing that this fish oil is sourced from wild-caught fish and is free from artificial flavours and colours. The addition of vitamin D and lutein is a huge bonus for cognitive and eye health. 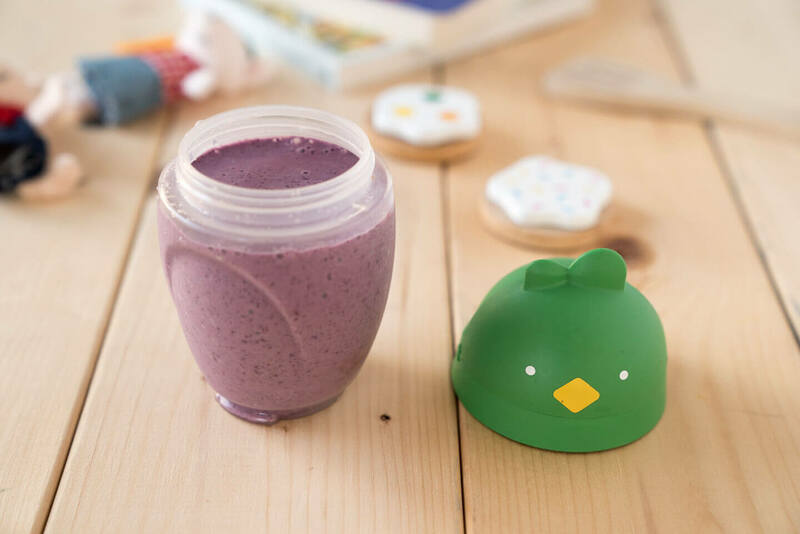 Your child will LOVE the yummy flavour, making it super easy to give them a spoonful! featuring 21 organic polyphenol-rich superfoods in every scoop! to help kids build resilience, stay healthy and thrive! 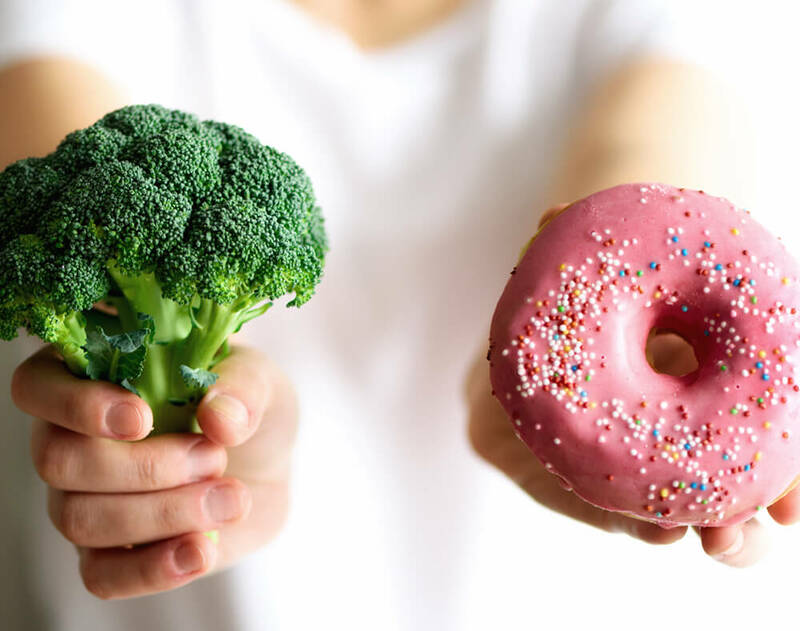 A healthy diet is associated with good academic performance, mental wellness and stress resilience in children and youth. Plus, research shows that dietary choices early in life predict health later on. Boost your child’s nutritional intake with 22 organic, whole food, polyphenol-rich ingredients and 4 grams of prebiotic fibre in every scoop! Fermented to provide a great source of amplified plant nutrients for overall health. A yummy grape flavour they’ll love! Non-GMO Project Verified and free from dairy, soy, gluten and peanuts. Kids need help building resilience in order to stay healthy and thrive! 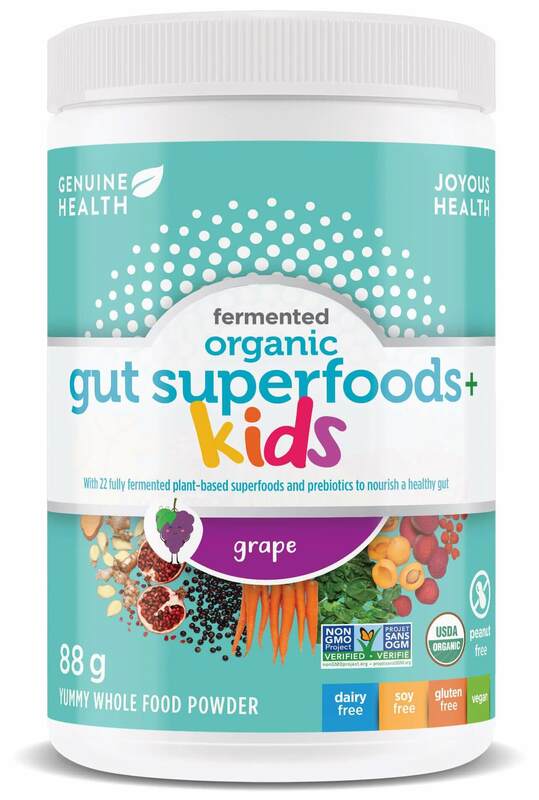 Fermented Organic Gut Superfoods+ Kids provides an unmatched nutritional insurance policy for children and teens. Made from whole food ingredients: 21 organic polyphenol-rich superfoods in every scoop, including organic broccoli sprout, organic kale, organic cauliflower, organic carrot, organic cabbage, organic sweet potato, organic beet, organic raspberry, organic black currant, organic grape, organic spirulina, organic spinach, organic mulberry, organic sea buckthorn, organic pomegranate, organic apricot, organic bitter melon, organic cinnamon, organic ginger, organic clove and organic cocoa seed! Early life is critical in shaping your child’s microbiome! That’s why I’ve partnered with Genuine Health to bring you Advanced Gut Health Probiotic Kids formulated specifically to nourish and promote a healthy microbiome! 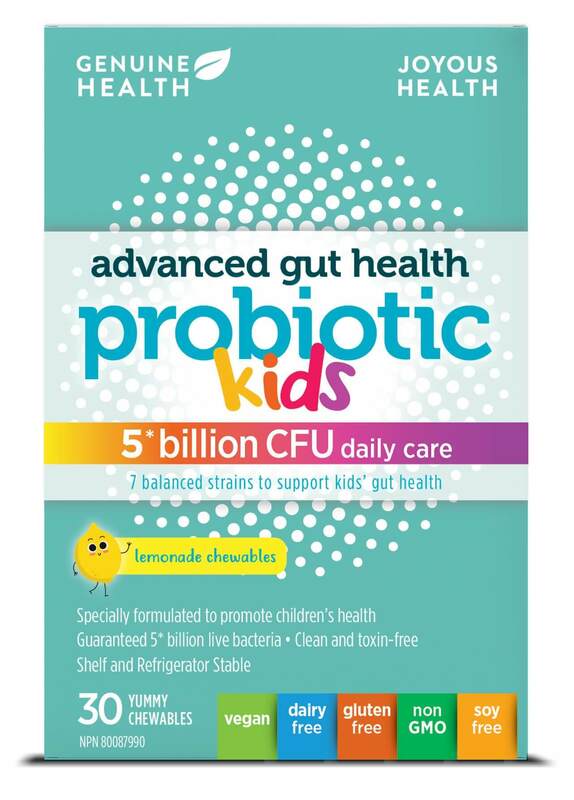 Build your child’s healthy gut flora with advanced gut health probiotic kids! A healthy gut is essential to your child’s overall health. Researchers have found a link between a reduced diversity of gut bacteria and the development of allergies and asthma. 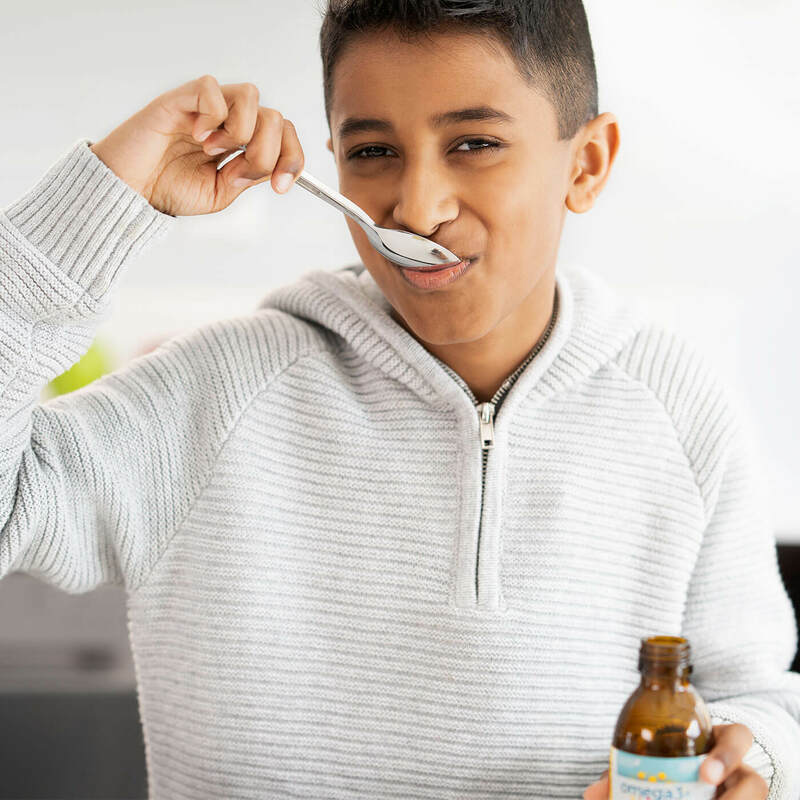 Probiotics are proven to nourish the gut microbiome and promote a healthy digestive system which is absolutely essential for a child’s overall health. Multi-strain formula: 7 strains of bacteria to promote overall diversity. 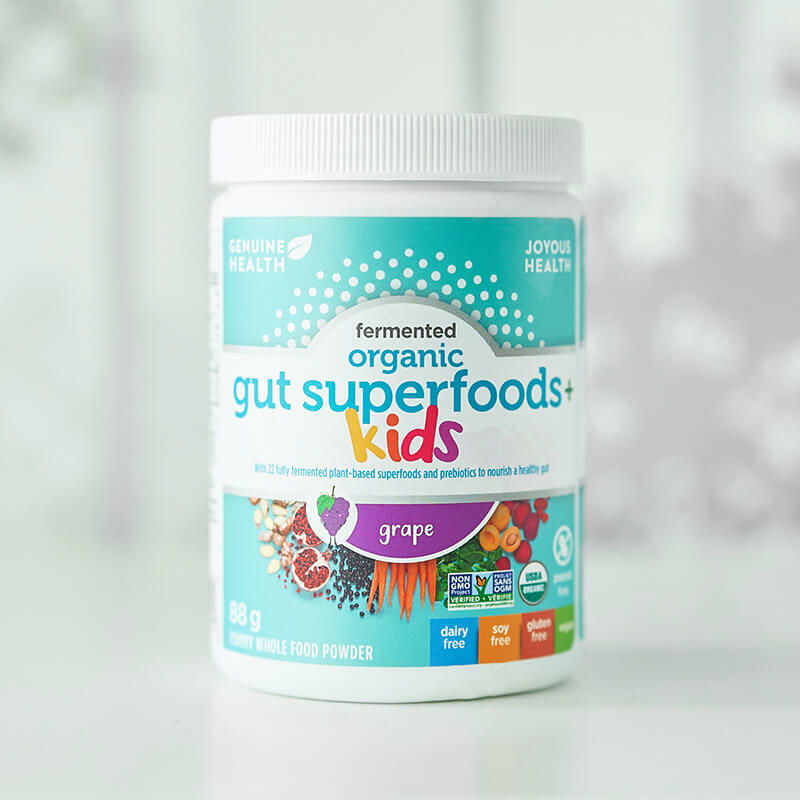 Specially crafted for kids including Lactobacillus Rhamnosus GG, one of the most researched probiotics for promoting childhood health and Reuteri, a natural resident of a healthy gut in childhood. A yummy lemon flavour they’ll love! Developed with a unique “honeycomb” technology that protects the bacteria and allows for immediate activation of the bacteria once the probiotics come into contact with the mouth—delivering them to where they’re needed. These probiotics are vegan and free from dairy, soy and gluten. They are also shelf stable, so no refrigeration is required. Multi-strain formula: 7 strains of bacteria to promote overall diversity. 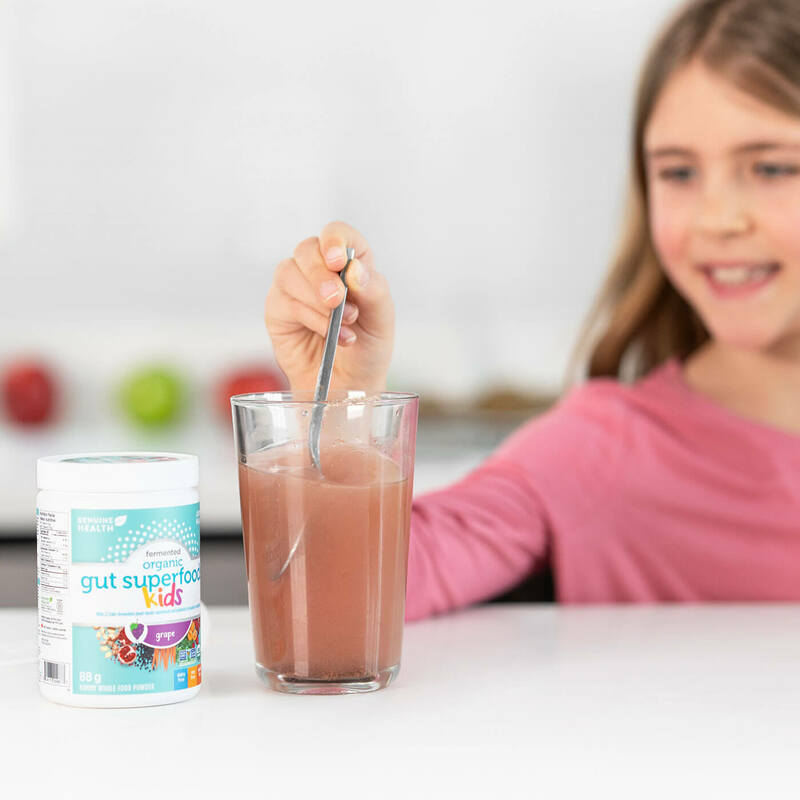 Specially crafted for kids including Lactobacillus Rhamnosus GG, one of the most researched probiotics for promoting childhood health and L. Reuteri, a natural resident of a healthy gut in childhood. These probiotics are vegan and free from dairy, soy and gluten. They're also shelf stable, so no refrigeration is required. 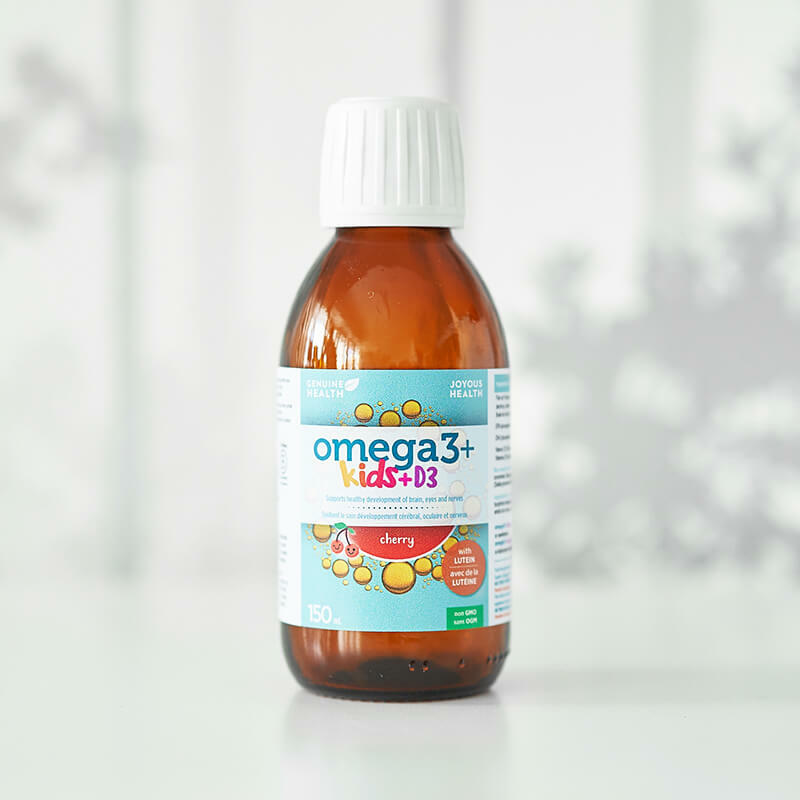 featuring two key omega-3 essential fatty acids — essential for behavioural and mental wellness in children — plus vitamin D3 to support cognitive health — and much more! EPA and DHA—plus vitamin D and lutein for protection from blue light. 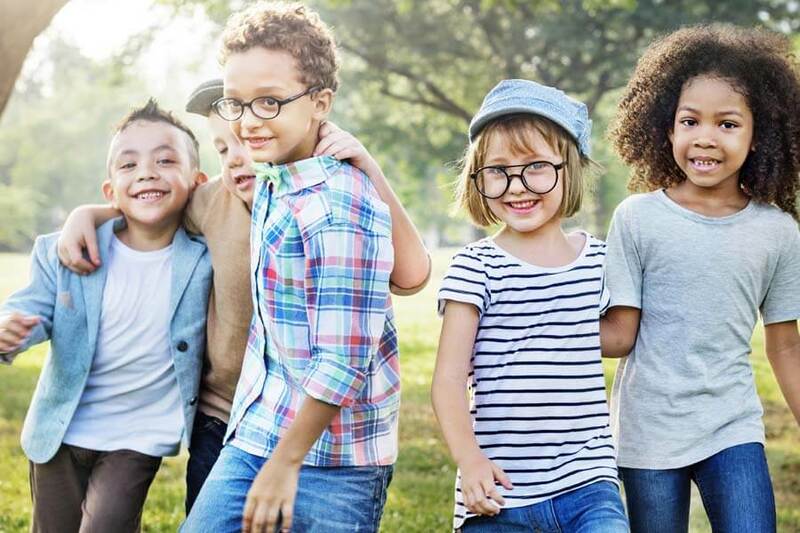 Research shows that EPA and DHA, two key omega-3 essential fatty acids, are essential for behavioural and mental wellness in children, and vitamin D3 helps to support cognitive health and the maintenance of bones and teeth — yet children are not meeting recommendations. Each serving contains 718.2 mg of EPA and 448.9 mg of DHA, in a balance essential to your child’s health. Contains 600IU of vitamin D per serving to help support healthy development of a child’s brain, eyes, nerves, cognitive health, bones and teeth. 5.5 mg of lutein derived from marigold. Lutein is a dietary carotenoid highly concentrated in the retina that helps to filter blue light from screens and protect the retina from oxidative damage. From wild-caught fish and sustainable fisheries in Pacific South East and Eastern Central Atlantic that are strictly regulated by government agencies. A yummy cherry flavour they’ll love! 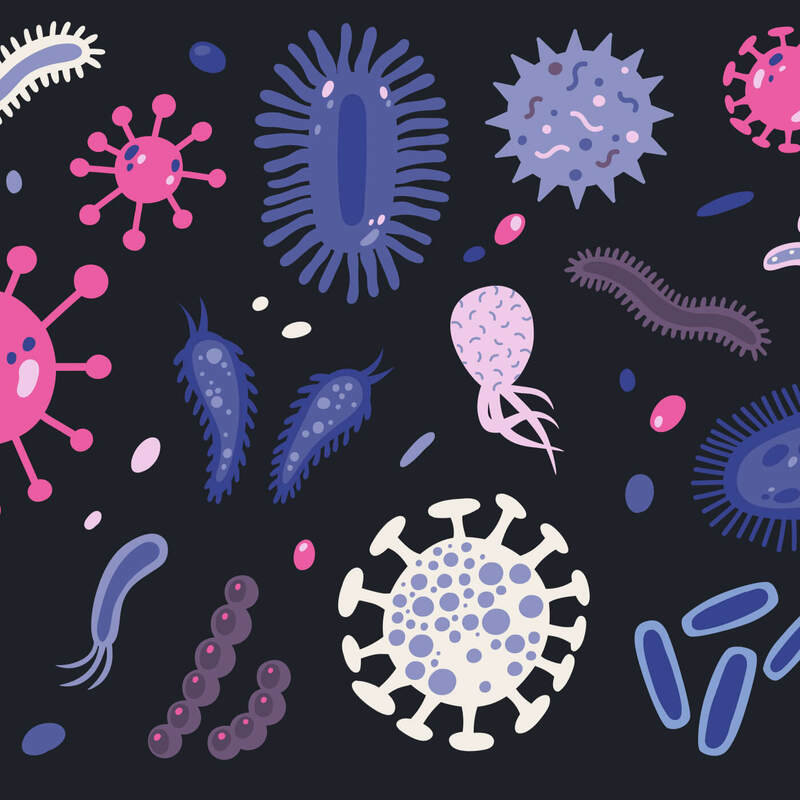 Why I’m obsessed with the microbiome — and you should be, too! This is no small task! As a parent, we have a vitally important responsibly to raise our little humans into thoughtful, healthy and vibrant adults. Every bit of nourishment they receive and every dose of nature helps their microbiome flourish. As parents, it’s our job to be the example. This post gives you practical tips and ideas to raise healthy eaters of your own. These bites are perfect for kids to bring to school because they are nut-free! They are also dairy-free, egg-free and gluten-free. There’s no sugar added and they are yummy! 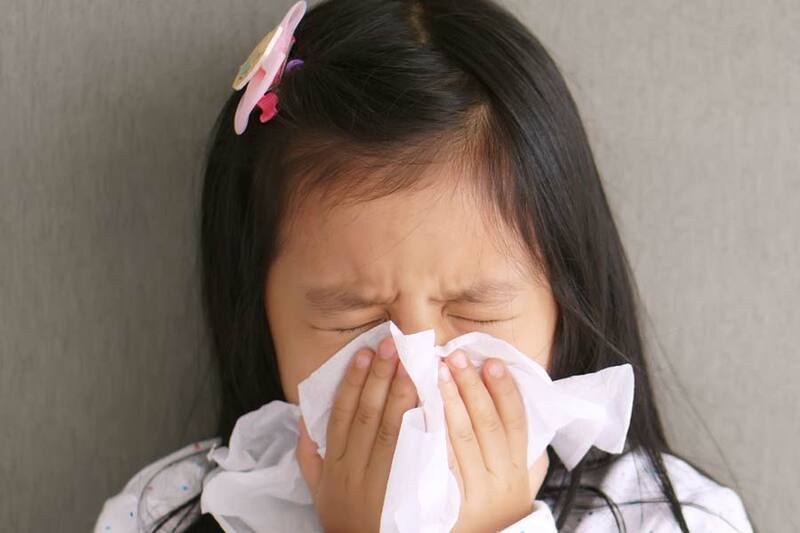 Sickness will happen, but if you eat right and utilize natural health supplements, and follow these recommendations, you and your little ones will get sick less often. Little Food Lovers isn’t just a guide — it’s a lifestyle. It’s about cooking with your kids and getting them involved in meal-planning. It’s turning off screens and gathering around the table for a family dinner. It’s about fostering a positive relationship with food — it’s all about togetherness. In this e-book series, you’ll find family-friendly recipes, as well as lifestyle tips designed to get your kids excited about healthy eating! We are thrilled to join forces with long-time joyous partner, Genuine Health, to provide natural health solutions for the children of today and tomorrow. Joy McCarthy, holistic nutritionist, best-selling Author and natural mama, founded Joyous Health with the intention to help people live happier and healthier lives. With an extensive line of natural personal-care products, comprehensive programs and guides and now a line of natural health supplements for kids in partnership with Genuine Health, Joyous Health is on a mission to spread natural health far and wide and help people discover how amazing their body was designed to feel. Genuine Health has been providing health solutions in the way of natural science-based supplements for more than 25 years to give people the freedom to live the life they want to live. As one of the first certified BCorporation companies, Genuine Health prides itself on using business as a force for good, by providing people with the tools to nourish themselves and support everything from their energy levels, cognition, movement, sleep and gut health so they can love how they feel, every day. It’s a parent’s prerogative to question what they’re giving to their children, and we’re all about transparency, so ask away! We’ve got the ball rolling with a few frequently asked questions. Once opened, it is advised to store fermented organic gut superfoods+ kids in the fridge. If unopened, it will stay fresh up until the expiry date. Are probiotics necessary if children eat yogurt every day? 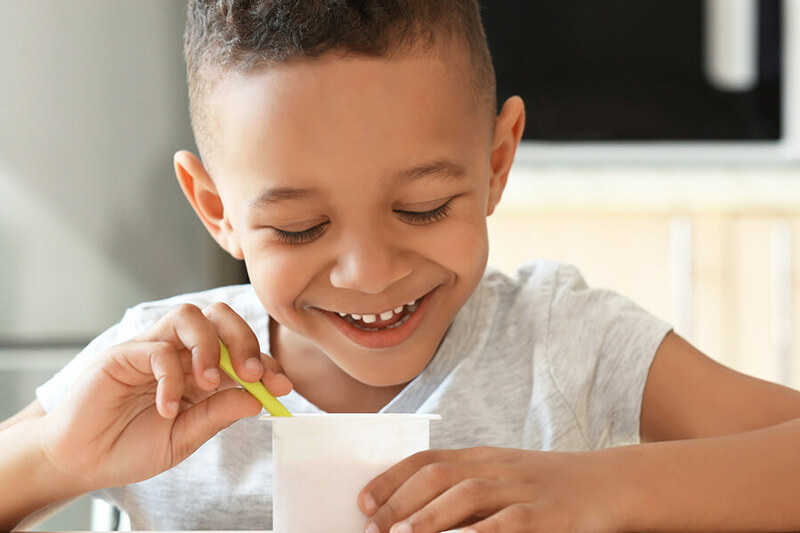 Yogurt can be a healthy addition to your child’s diet, but yogurt typically does not contain the range of species (usually just up to 4), CFU (around 1 billion) or a mechanism to protect the bacteria during their journey to your child’s gut! Additionally, children’s yogurts are typically loaded with sugar. 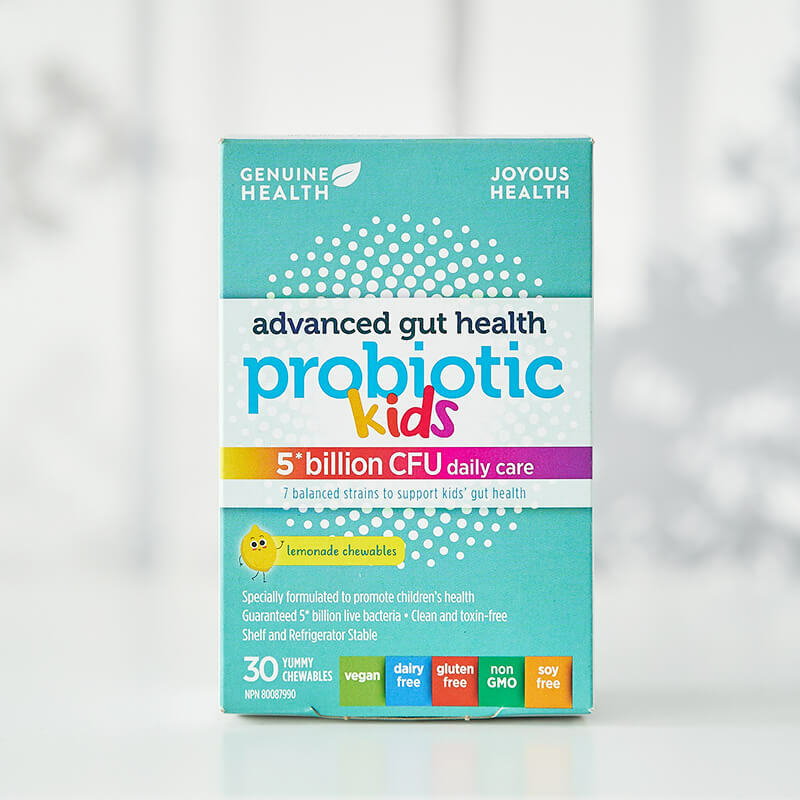 A daily probiotic—like advanced gut health probiotic kids has 7 strains of bacteria carefully chosen for a child’s health, 5 billion CFU and a unique “honeycomb” tablet that gets the bacteria where they’re needed—is your child’s best bet! Why is the DHA not higher than the EPA? The evidence on DHA vs. EPA for children is not as clear cut as most think. Overwhelmingly the research suggests that a balance of DHA and EPA is necessary for optimal health in children. In some cases, such as ADHD, EPA has shown to be more effective than DHA at improving symptoms. 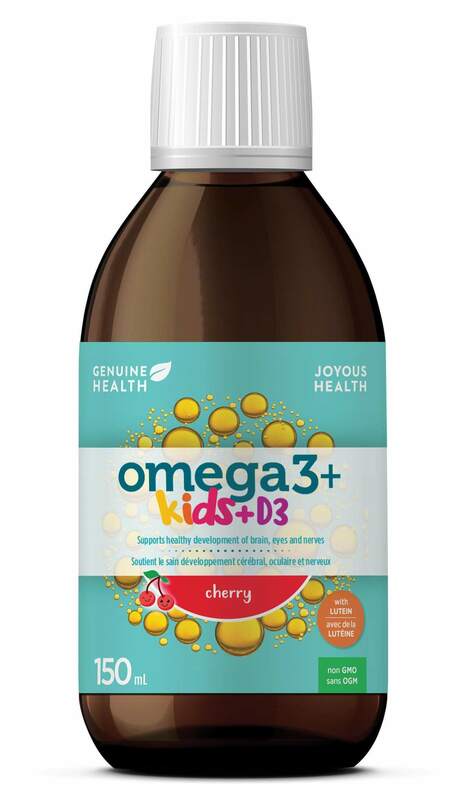 Overall, the omega3+ kids +D3 formula is very consistent with those used in the majority of clinical trials, and Genuine Health has ensured that we deliver a clinically significant dose of both EPA and DHA. Even looking only at the “high DHA” studies, many of them use treatments ~400mg DHA, about the same amount found in omega+ kids +D3. Based off the totality of current literature, we believe this formula is optimally balanced to promote all areas of childhood development. I have another question. How can I reach the Joyous Health team? We’d love to hear it! Please contact us and a member from the Joyous Health team will get back to you as soon as possible!